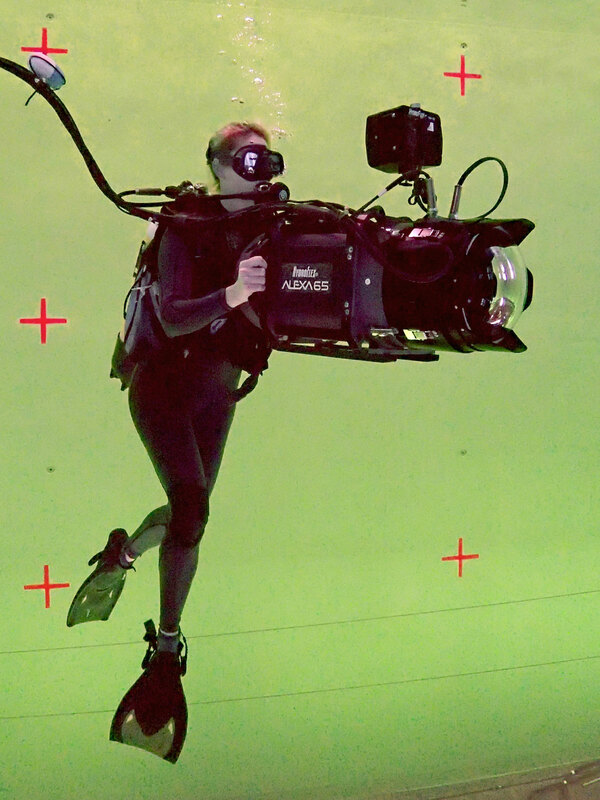 The HydroFlex ALEXA 65 has been underwater working on the VFX sequences of a major motion picture. HydroFlex’s Pete Romano, ASC worked closely with ARRI Rental Group’s Neil Fanthom and John Duclos during the design phase of the underwater housing construction. Two housings and cameras worked flawlessly (no leaks :) during production. To build the housings, Hydroflex didn’t have an actual camera on hand. They only had CAD and 2D drawings. They got a prototype camera in Los Angeles on November 11th for first fitting and electrical and buoyancy testing. Two days later, the housings were on their way to an underwater stage near London. Heat was reduced by the use of a proprietary heat sink built into the housings’ design. 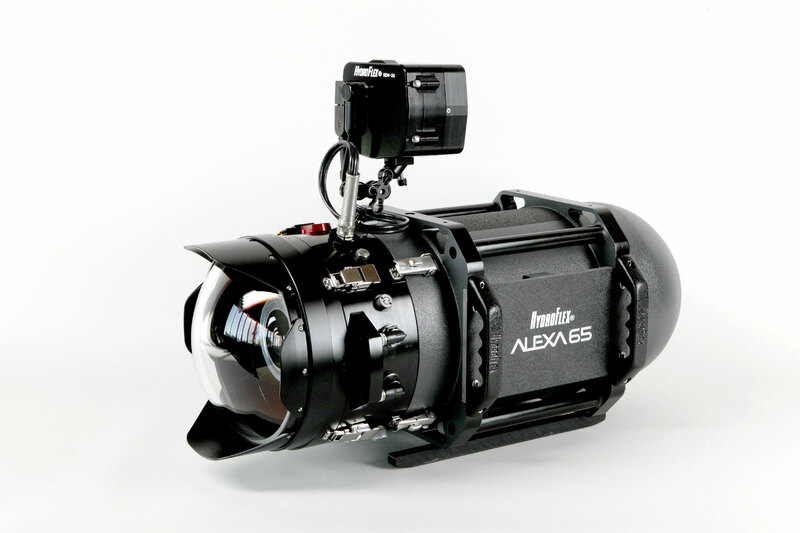 HydroFlex teamed with Nauticam underwater camera company to build a custom 250 mm diameter glass dome port designed around the A65 24, 28 and 35mm lenses. There was no vignetting, even with the 24 mm Prime 65. We will see the ocean in a whole new way….